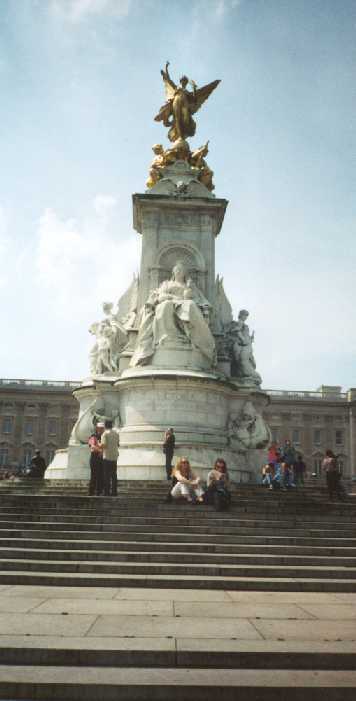 Queen Victoria (reigned 1837-1901) was a very popular monarch, and there are statues and monuments to her everywhere. This one is outside Buckingham Palace. 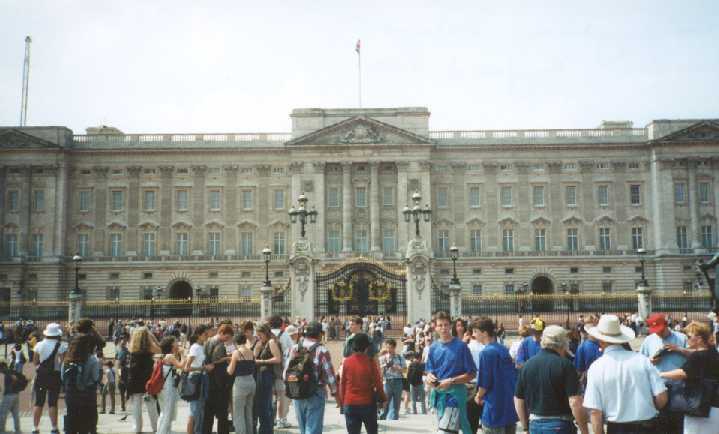 The changing of the guard at Buckingham is a very long, very involved process, taking over an hour. 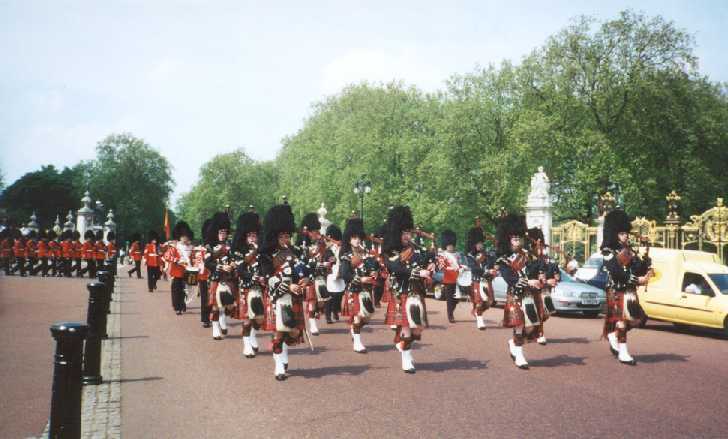 This is one of the many bands that matched in the changing of the guard "parade." 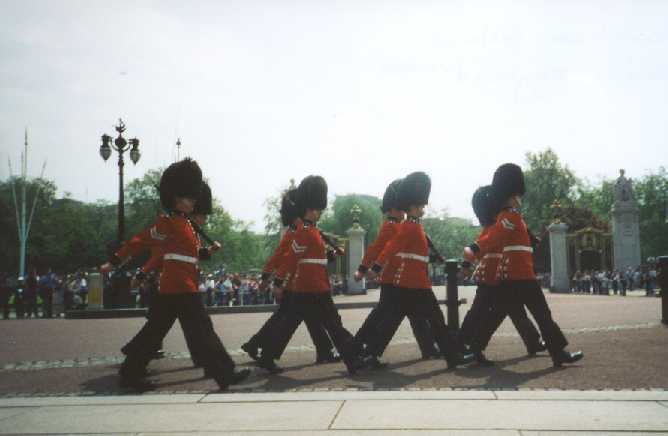 When they change the guard at Buckingham Palace, they don't just change the 2 guys marching in front of the Palace itself. There's a huge park around Buckingham, and there's guards at a dozen spots throughout the park. They send these details out to relieve those far flung guards, and bring them back for the changing of the guard ceremony.